Can a creative group be dedicated to measurable results and the design process? Jacob Tyler is the answer to that question. That's because Jacob Tyler isn't a man – or even the sum of decades of experience in advertising and interactive solutions. What we are is a new perspective: one that says an intimate understanding of your business is as important as stunning visuals, and that the right creative tools can make a tidal impact on the marketplace… but only if they are pointed in the right direction. Jacob Tyler isn't a person; it's the new art of branding personified. It's the idea that your success drives ours, and that companies of all sizes need customized solutions, not off-the-shelf answers. Simply put, we're a team of problem solvers who put our talents to work for you. 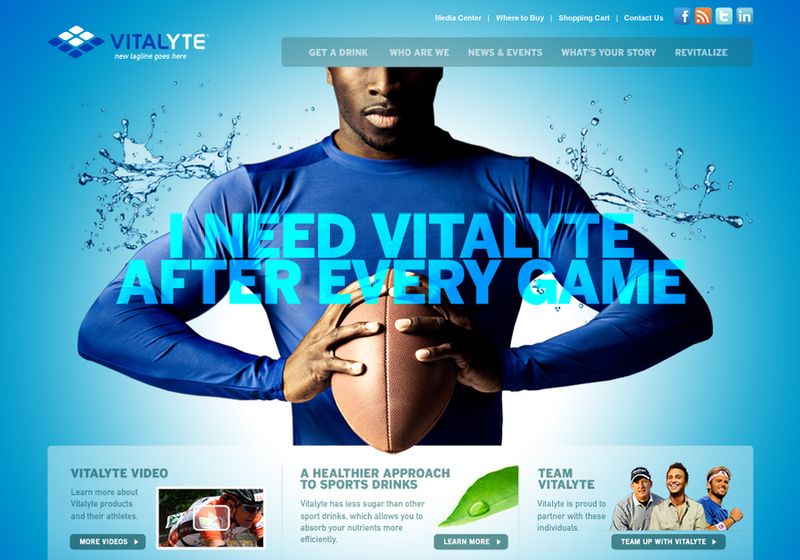 This is a screenshot of some of our most recent work with Vitalyte, a scientifically enriched sports beverage brand.